Home / NBA / New Look Knicks Worth the Hype? New Look Knicks Worth the Hype? NEW YORK CITY, N.Y. – The New York Knicks made it loud and clear, that they were not going to be players in this year’s free agency period. As all the other teams fought over LeBron James, Paul George, and Kawhi Leonard, the Knicks lone signing was 23 year old Mario Hezonja. Hezonja is far from a star studded landing, but speaks towards the direction this New York team is trying to go. Year after year, the Knicks would sign older declining players for too much money and to multi-year deals. (Ex: Joakim Noah – 4 yr/$72 mil). This year, New York made it clear they were only giving out one year deals, and were looking to get younger. (Photo Credit: Jeff Zelevansky) Hezonja signed a 1 yr/$6.5 mil deal with New York this offseason. The Knicks for too long have tried to take the quick road to success, which has failed to come into fruition. 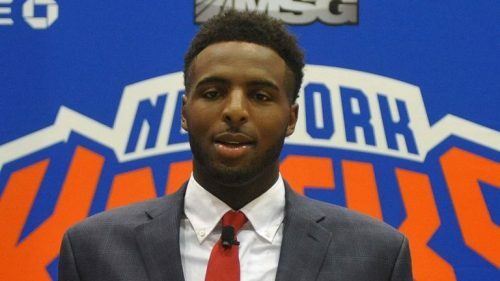 Now with the recent draft picks of Kevin Knox (18 years old) and Mitchell Robinson (20 years old), suddenly the Knicks have gotten as young and athletic as they’ve ever been in decades. 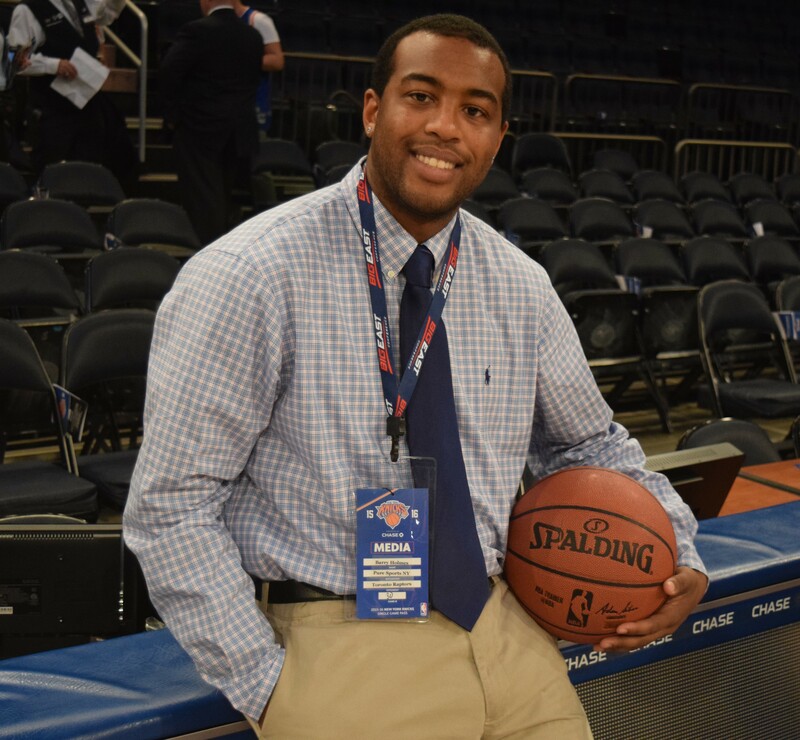 Courtney Lee, Lance Thomas and Noah now become the only 30+ year old players on the Knicks. The NBA Summer League was the first look on how the young New York pieces would look in live game action. Even though Knox and Robinson’s upsides have been celebrated, there was still concern considering the very small sample of action people have seen from each player. Knox has proven to be the key highlight from this summer camp, earning All-NBA Summer League First Team honors. The Kentucky early exit, has shown that he is extremely versatile. Knox has shown length on both ends of the floor, that should help the Knicks as a “plug and play” player right away. (Photo Credit: NBAE/Getty Images) Knox has a lot of the Garden faithful excited. Last season, the Knicks struggled to get to the free throw line or put pressure on interior defenders. During Summer League, Knox showed a relentless attack to the basket and cashed in from the charity stripe often. The rookie has also shown he is an elite finisher in transition. This will be a huge help to the Knicks, who failed last year to create consistent offense in transition. Knox has also proven he can be an effective shooter from beyond the arc. Robinson is someone that people should be more excited about. The Knicks outside of Enes Kanter, were lacking on interior physicality. Robinson has proven he is a work horse on the glass, and knows how to move without the ball. Young big men often struggle to get to their sweet spot, or to receive the ball in a scoring position. Robinson has the intagibles to not only get open, but finish anything around the rim. This should excite the Garden faithful, and both Robinson and Knox have already established a nice connection in the “high low” offensive sets. In the end, there is still a lot of time before the season starts. Summer League is just that, Summer League. So it is difficult to truly gauge how successful a team can be, when the competition is mostly second year and G League players. However, you can access the skill set of those players participating. From what New York showed in Summer League, there is a lot to look forward to with the Knicks future. DO NOT SLEEP ON ALLONZO TRIER! This kid has always played with a chip on his shoulder, going back to his time at Arizona. Depending on how he develops, Trier could be a catalyst off the bench.